Space is limited!! This is a small women’s wellness group experience! Registration closes May 16, 2019. Register at bottom of this page. 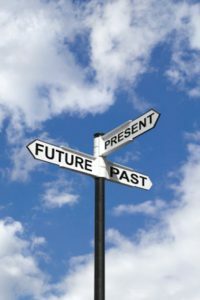 Past life regression is a technique using hypnosis and visualization to undercover memories from your past lives and incarnations. Remembered or not, your unconscious mind harbors the memories of many past lives. Our past lives can “bleed through” into our current lifetime and influence it in numerous ways. This will usually appear as patterns in your life. Do you find yourself repeating certain patterns over and over? Often, present-life issues we are struggling with have a past-life origin and the stories contain amazing lessons. The lessons are revealed most markedly by the life patterns we recognize in the stories. Dr. Christina has successfully regressed over 200 people in both individual and group settings. Her clients have gone back to lives in Prehistoric times, Eqypt, Colonial America, Atlantis, Lemuria, Pompeii, To the Knights Templar, Medieval Times, World War 1 and 2, and beyond. Sessions provide an opportunity to heal trauma and stuck energy in these lives as well as forgive and be forgiven for transgressions. There are many reasons to do a past life regression: for fun and entertainment, to gain insight, to experience healing, to heal issues with no rational cause (fears, pain, etc), to process soul lessons, to forgive others who have hurt you so the past can be healed, to gain an understanding of your gifts and challenges in this lifetime and how to move beyond them, and to gain more awareness of your soul contracts, karmic relationships, soul mates, and soul groups. May 18, 2019 itinerary: This is a small group women’s wellness experience. 9am to 12:00pm: Past Life Regression. We will begin with group introductions and a discussion of the spectrum of consciousness. All participants will then set goals and explore patterns and concerns in their life they would like more insight into. Then you will be guided back to the life or lives that need to be addressed and healed. You are also given an opportunity to meet with your spirit guide. Session ends with processing, integration, and discussion of your experience. Fee: The fee is $80. Includes a group past life regression, intuitive feedback, assistance with processing the experience, and integration. Please bring: A yoga mat or massage mat if you have one, blankets, a pillow, a notebook, and pen. Something to cover your eyes (like an eye pillow or eye mask) is also recommended. Please wear comfortable clothing, like yoga pants or sweatpants. Registration: Registration deadline is May 16, 2019 (will close earlier if space is filled). Please contact Dr. Christina at 608.393.7353 or mindsoulandself@yahoo.com with any questions. Register by paying the fee below. Please note, due to limited space, fee is non-refundable if you cancel your attendance 48 hours or less from the start of the event.